Swinging through to wish you a happy Tuesday, pretty lady! You look wonderful as usual! Love those hues on you! Oh my those boots are awesome! I need a pair like this. Are you shooting the housing complex near 14th street on the east side? Hi Allie. Good guess, pretty close. I live in Peter Cooper Village aka PCV. That’s the parent resident to the complex your thinking of called Styvesant Town. My residence PCV is btw 20th/23rd all the way over on the east side. I did a post on my place back on May 4th called New Dwelling – Gramercy. It’s been a while. Thanks for visiting. Wonderful look and boots! 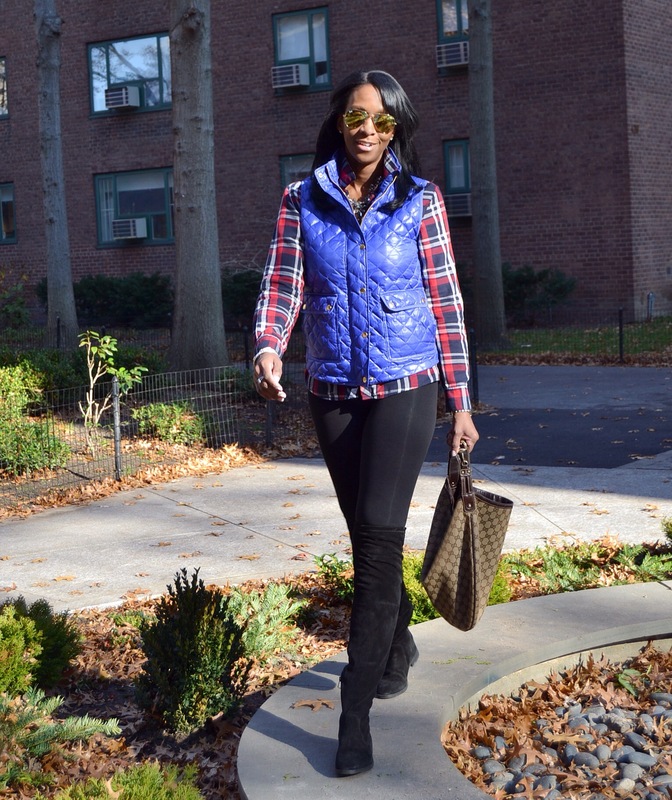 I really like the quilted j crew vest too, you look gorgeous! 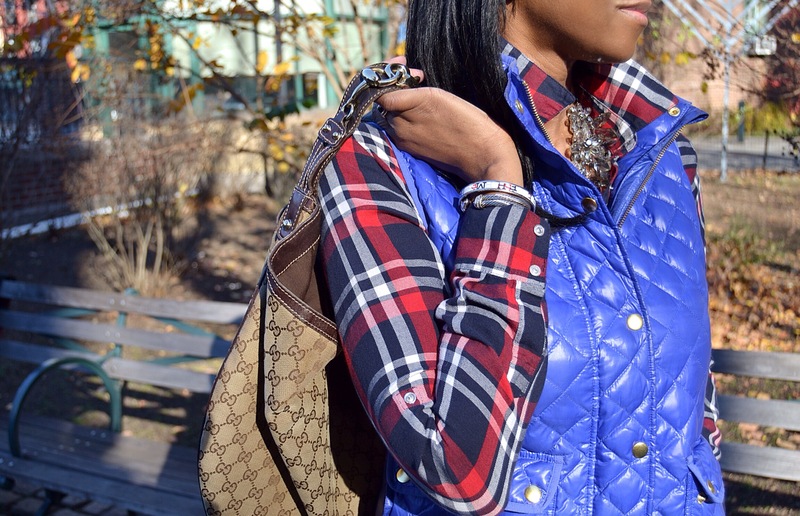 Such an amazing colorful look for winter! Love those boots! 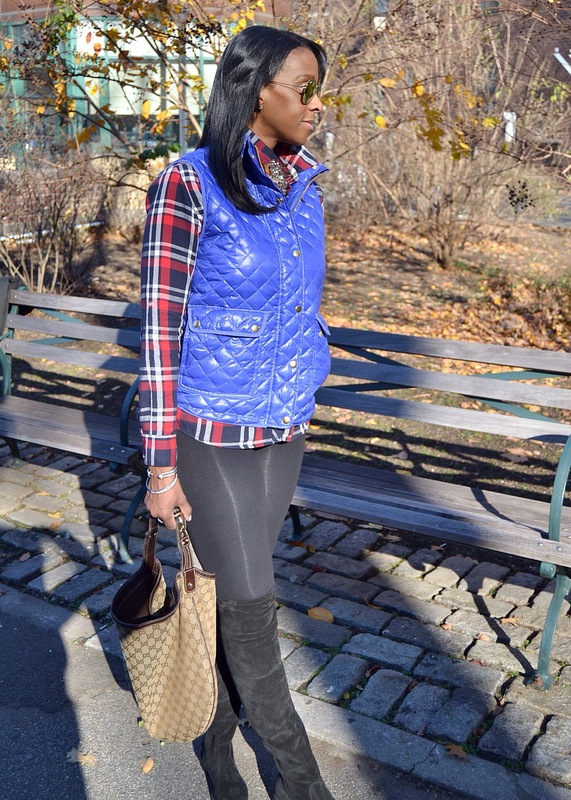 Such great boots and I’m loving this vest on you! Such a gorgeous color. You look fabulous! 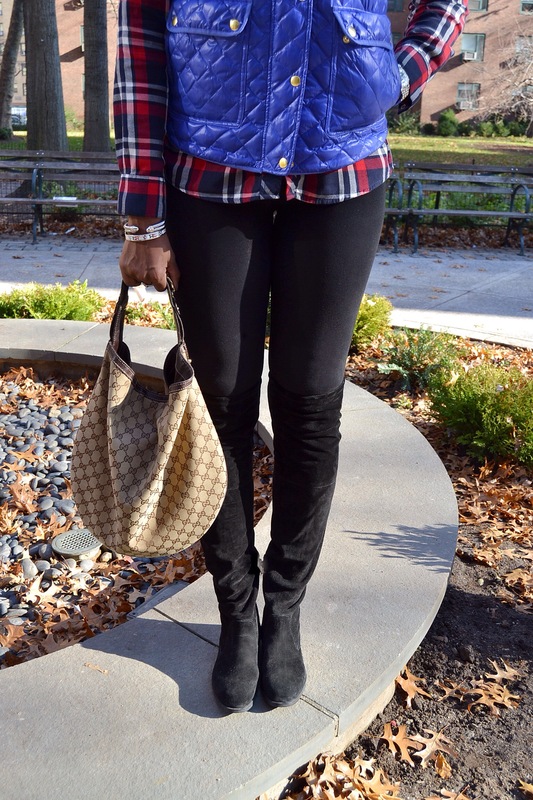 Love that vest and I need those boots! A very nicely presented colourful outfit with lots of style and charisma! 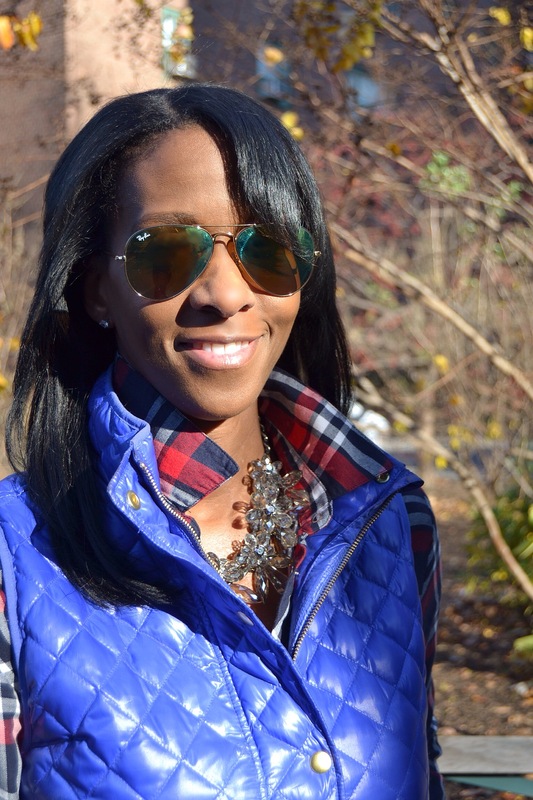 Love the blue here it’s really beautiful, and your aviators! 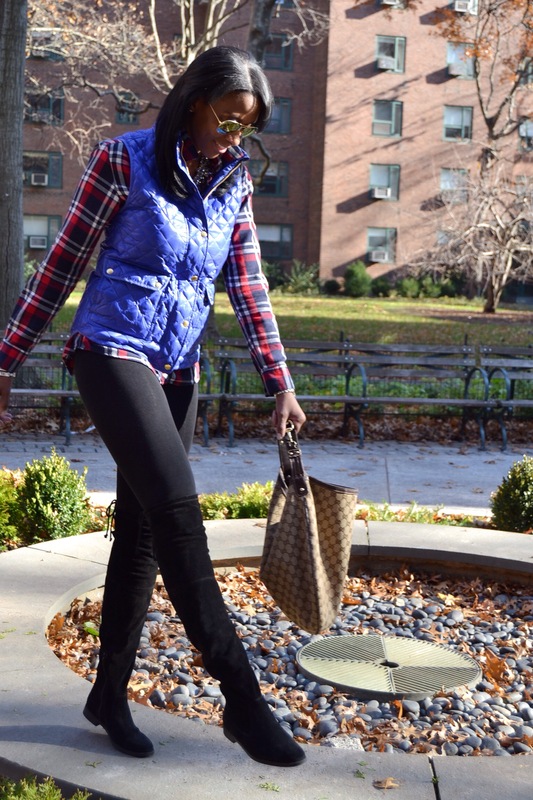 These boots look really nice and the rest of your outfit is very well styled as well!